URL Shortener for SharePoint cuts with a single click any large URLs of SharePoint site pages, documents and lists to short links. Enjoy also other Virto FREE SharePoint Web Parts like Media Player and Clock and Weather. 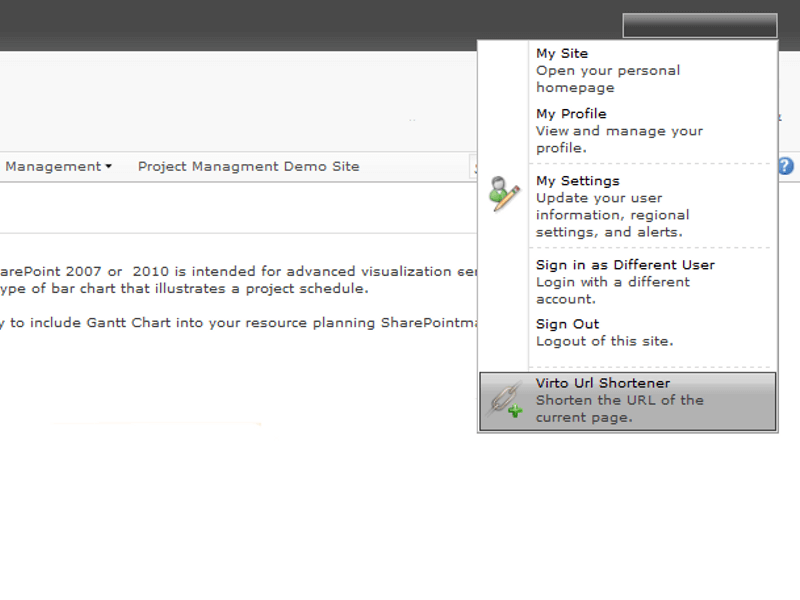 Virto URL Shortener Web Part automatically cuts URL for SharePoint site pages, documents and lists. Extremely quick, easy and FREE! Virto URL Shortener Web Part doesn't require any special adjustment and provides pop-up interface of shortening, so you can cut large URLs with a single click. Every SharePoint user has occasionally to use URL of site pages, installed web parts and list items. The URL is usually too long, contains large amount of symbols and even takes sometimes 2 or 3 rows of text. Imagine you need to spell this link during a phone call. Or your partner asks you to send it by e-mail, where this URL takes most part of the message body and any other information is left unobserved. At last you may need to tweet this URL but will definitely face Twitter character limits. Virto URL Shortener Web Part for SharePoint 2010, 2013, 2016 cuts large URLs with a single click to short links that can be used instantly by SharePoint users for sending links through e-mail, Twitter and SMS. Moreover, the installation process is quick and simple. The component is ready for use right after installation and doesn't need special adjustment. 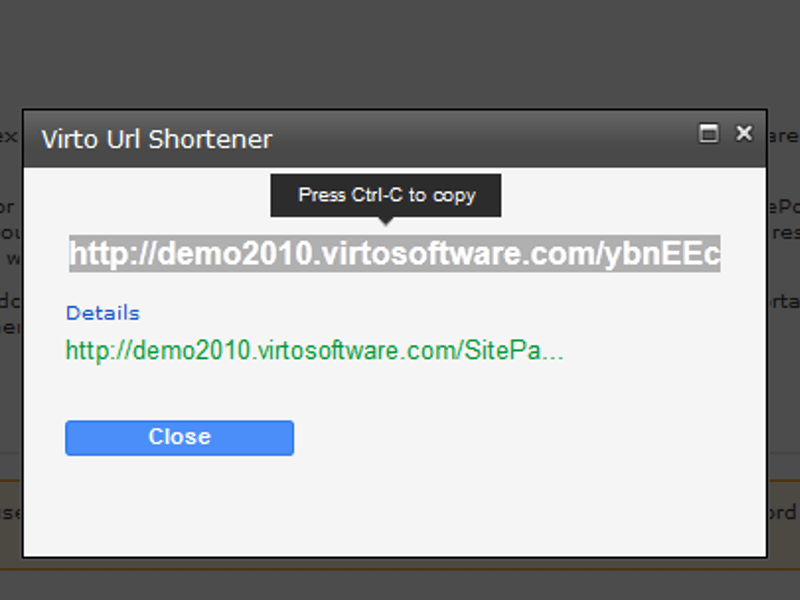 Just download and install Virto URL Shortener web part and use the URL cutting button anytime you need. Extremely quick and easy installation The component is ready to be used right after installation and does not need special adjustment. I like this SharePoint URL cutter! Perfect for me, it saved me from eye irritation! Nice small web part to cut URLs in SharePoint. Extremely user friendly and unbelievable easy to use. The simple ideas are the best. I used this feature to cut large URL in SharePoint, gets the job done very well!